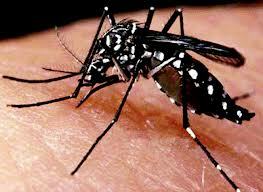 Last week, Barbados suggested that there were two suspected cases of chikungunya. 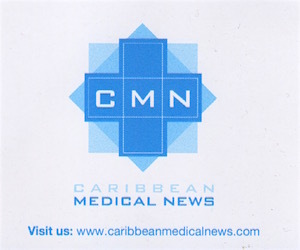 Today the Barbados Government Information Service (BGIS) has confirmed that the Ministry of Health is investigating seven suspected cases of chikungunya with samples being sent off to the Caribbean Public Health Agency (CARPHA) for investigation. Chikungunya, a virus similar to dengue, is transmitted by the Aedes aegypti mosquito as well as the Aedes albopictus mosquito. The symptoms are crushing bone pain, especially in the wrist and other joints, rash, symptoms quite similar to dengue fever and also may include a sudden high fever, headache, rash, nausea and muscle pain. It has been reported that the joint pain can last up to two years after recovery from the virus. Routine tests of any patient with symptoms of chikungunya have been conducted since December 2013, when the disease was first reported in the French Caribbean island of St. Martin. However, stiffness and severe joint pain, especially in the wrists, knuckles or ankles are more often associated with chikungunya. The illness is rarely severe and is usually fatal but the elderly and babies are considered vulnerable and should be monitored closely. There is no vaccine for chikungunya. Treatment is symptomatic and may include rest, fluids, and medication for fever and pain, however, aspirin should be avoided nonetheless. The BGIS advised members of the public to take simple measures to protect themselves and their families from contracting chikungunya. These include spraying inside their homes with insect repellent to kill adult mosquitoes and discarding old containers, buckets, tyres and coconut shells where mosquitoes may breed. The ministry of health is also advising householders to conduct weekly checks of their premises to remove potential mosquito breeding places. The MOH is also increasing its surveillance and fogging. Last year alone, the island’s cases of dengue had tripled with one suspected death.